I know that for many people it is too early to be think about Christmas but since it is winter here in Australia Christmas in July is very much on my mind! It is around this time every year that I start planning my decorating, shopping and it is also when I host my annual Christmas in July party! So to give me some inspiration and get me into the Christmas spirit I am posting pictures of my Christmas cloches and apothecary jars. If it wasn't for Marty, I wouldn't have even known what a cloche or apothecary jar was, so thank you Marty! I only have a one cloche and three apothecary jars as they are only just starting to become quite popular here in Australia and so they are still quite expensive. But, I make do with what I have and am always trying to fill them with seasonal prettiness! I have filled up these smaller ones with my bathroom whites, perfect for White Wednesday at Faded Charm don't you think! Right now my apothecary jar is full of wintery pot pourri. But as soon as summer arrives I always fill it with my ever-growing shell collection! At Christmas time you can be sure I fill it with lots of festive bling! I just love decorating with cloches and apothecary jars. Somehow, everything just looks so much more special and beautiful when encased in glass! Thanks for dropping and visiting today. I hope that your week is wonderful and that the spirit of Christmas fills your day with happiness and love. Hohoho! These are very pretty Natasha. Hearing about Christmas in July makes me feel a little cooler at least! Your apothecary's are beautiful! Christmas in July - love it, Natasha! :) Beautiful cloches and you've got the knack of decorating! Merry Christmas in July, Natasha! Beautiful cloches and thanks for getting us thinking about the fun decorating at Christmas. I love your festive cloches! Natasha, great idea to celebrate in July in midst of your winter. Beautiful cloches! They're really very pretty! Love the Christmas music! Very pretty Natasha! Great idea! I love your cloches. and you apothecary jars. So pretty!! Each one is beautiful and I love your different displays.. They sure were lovely and I would not have thought of using them until now. Great idea. I made up a large one last Christmas and it really did make a nice display on my coffee table. Plus it meant I could use up all the extra baubles I had. Win, win situation. 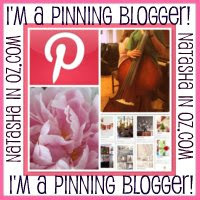 Thank you for your lovely comment, Natasha! I have a much easier time when it is holiday time finding lots of different things to use for my cloches and apothecary jars. It's just the rest of the year that I seem to get stuck! Yours are all so diverse; I am visiting everyone for ideas. Christmas in July! Love your cloches and apothecary jars! Puts me in the Holiday Spirit! Thank you for stopping by! Your cloche vignettea are absolutely lovely! Such lovely and fun ideas. I try to not to think about Christmas decorating this early, but I still loved seeing your Christmas cloche! Am loving them. I love the seashells in them. Great idea for the collection you have. Going to be camping on the 25th so wishing you " Merry Christmas in July" now. It's amazing what we have learned since blogging. I just love all of your Christmas cloche's and apothecary jars. I am a big Christmas lover so I never really tire of looking at all of the beautiful decorations. Merry Christmas in July! Here its summer and its hot. I happened your way through another blog and I'm so glad I did! I usually start playing Christmas music in June or July and decorate early! Wonderful blog! Very nice, Natasha! I love all your vignettes! That shell "ball" is gorgeous! Did you make it - spectacular! Aqui no Brasil o inverno também é em julho, mas onde moro (Rio de Janeiro) não é tão frio assim..
Oh, you have so many gorgeous cloches and apothecary jars and you fill them so beautifully! Thanks so much for sharing this with us last weekend at Inspiration Friday! 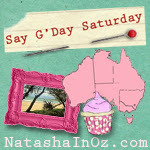 I'm always in Christmas spirit, but been busy with my other blog, Swedish Corner - Down Under. ΝΑΤΑΣΑ ΤΙ ΟΜΟΡΦΗ ΣΚΕΨΗ!!!!!!!!!!!! ΠΡΩΤΟΤΥΠΗ ΚΑΙ ΜΕ ΑΝΘΡΩΠΙΝΑ ΑΙΣΘΗΜΑΤΑ ΠΟΥ ΔΥΣΤΥΧΩΣ ΔΕΝ ΥΠΑΡΧΟΥΝ ΠΙΑ.......ΕΙΧΑ ΠΟΛΛΕΣ ΦΙΛΕΣ ΑΠΟ ΚΥΠΡΟ ΟΤΑΝ ΣΠΟΥΔΑΖΑ.ΤΙΣ ΕΧΩ ΧΑΣΕΙ ΜΕ ΤΑ ΧΡΟΝΙΑ.ΦΙΛΑΚΙΑ! Thanks for visiting and thanks for stopping by 5 Minutes Just for Me too! Lovely things you have going on here with your blogs, who can resist the theme of keeping the spirit of Christmas every day ! I need to revamp all of mine! I think I need to revamp my whole house - I have just run out of space! I adore your Christmas bulbs in glass. I am now certainly thinking of Christmas. Natasha, these are great!! Love the one with the seashells...so pretty! Can't wait to start Christmas!!! Hi Natasha! Oh, love seeing all of your cloches! You always make pretty! EVERYTHING is so pretty! You are getting me in the spirit. What pretty cloches!Lovely settings. Gorgeous colours. Thanks for sharing. These are such festive cloches... I loved seeing them all and am definitely inspired! Thank you for sharing! Your apothecary jar has so many pretty uses. I love each one. I, too, fill mine with shells in the summer and ornaments at Christmas so you know I love that look. I like your cinnamon sticks tied with the ribbon too.